2.6 x 1.2 x 1.1 cm. 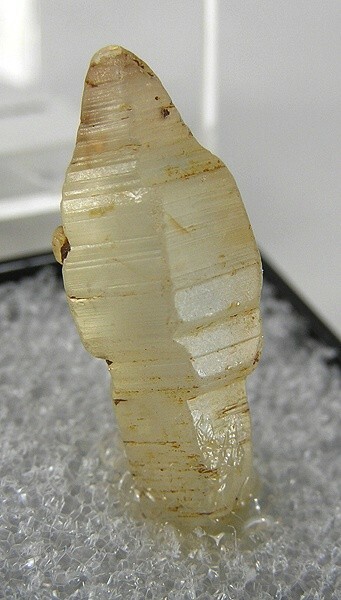 A complete, large, sharp sapphire crystal from the gem gravels of Sri Lanka - showing fine striated faces and an unusual sceptred form (though it is not a true sceptre, of course). Fine transparency as well.